In this post Daniel Sokol of 12KBW examines the recent decision of the Court of Appeal in YVONNE LESFORIS v CHRISTOS TOLIAS  EWCA Civ 487. In this blog Ted Cunningham of 12KBW examines the recent decision in ARB v IVF Hammersmith v R  EWCA Civ 2803 in which the Court of Appeal confirmed that a parent cannot recover the pecuniary cost of bringing up a healthy child, regardless of whether that alleged loss arose in tort or out of a breach of contract. In this blog Vanessa Cashman of 12KBW examines the recent decision of Whipple J in Yah v Medway NHS Foundation Trust  EWHC 2964 (QB), a case concerning a claim by a mother for psychiatric damage arising out of the birth of her daughter. This blog is by Helen Waller of 12 King’s Bench Walk. 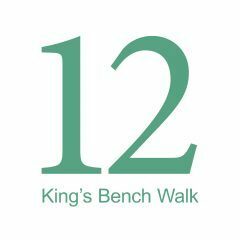 William Featherby QC of 12KBW secured a significant award for a boy who suffers from acute mental and physical disabilities as a result of negligent delay in his delivery. Vanessa Cashman of 12KBW was instructed by Mrs Shah in relation to a claim arising out of the death of her 4 year old daughter Nailah in July 2014 at Whipps Cross Hospital. In this post Isaac Hogarth of 12 KBW examines the recent case of Manzi v King’s College Hospital NHS FT  EWCA Civ 1882 in which the Court of Appeal considered whether to interfere with the trial judge’s findings in relation to whether there had been a negligent failure to detect and remove a portion of retained placenta following childbirth. The Court also considered in particular whether the trial judge ought to have drawn an adverse inference from the Defendant’s decision not to call a particular doctor as a witness. This blog is written by Helen Waller, a pupil barrister at 12 King’s Bench Walk. In Henderson v Dorset Healthcare NHS Trust  EWCA Civ 1841 the Court of Appeal reviewed the jurisprudence on the defence of illegality in tort, having been invited to reconsider the present position in light of arguments based on the doctrine of precedent. The Court rejected these arguments and provided a clear statement of the operation of the defence. In this post Thea Wilson of 12 KBW considers the recent case of Williams v CWM Taf Local Health Board, in which the Court of Appeal gave further guidance regarding the heavy burden on claimants of satisfying the Bolitho test.